A normal-length prime designed for Leica L-mount mirrorless cameras, the Iberit 50mm f/2.4 from Kipon is built to be compact and lightweight, as well as durable and reliable for long-term use. Its slim form factor houses an optical design that includes six elements in six groups that produces a classic image quality, and the manual focus operation permits working with subjects as close as 2' away. The all-metal construction realizes a rugged physical design, and the lens barrel's exterior also incorporates both depth of field and focusing distance scales for more accurate focus control. 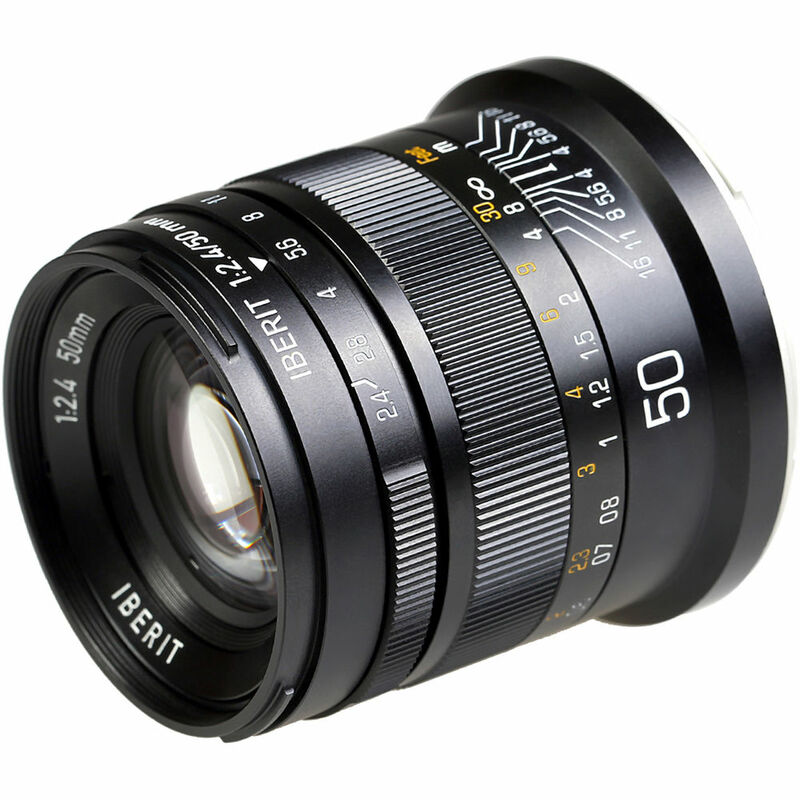 Normal-length prime is designed for full-frame Leica L-mount mirrorless cameras, however can also be used on APS-C models where it will provide a 75mm equivalent focal length. Simple six elements, six groups optical design provides a classic image quality that is also well-suited to use on current image sensors. Manual focus design permits working with subjects as close as 2' away. Engraved focus distance and depth of field scales benefit working with pre-focus and hyperfocal focusing techniques. Six diaphragm blades contribute to a pleasing bokeh quality. All-metal construction realizes a physically durable design that is also lightweight and easy to handle. Focus ring has a 108° throw and the aperture ring has a 76° angle of rotation. Exterior diameter of 58mm is consistent throughout the entire Iberit lens lineup.